The Power Source Posters help create an inviting and dynamic learning environment for the adolescents you serve. The posters augment the Power Source Book and the Power Source Workbook equipping adolescents with the social and emotional regulation skills they need to build healthy relationships, break intergenerational cycles of violence, high-risk behaviors, and be successful in the workforce. This four-poster series serves as a visual reminder of the skills and concepts presented in the program providing a dynamic and visually engaging tool for working with the Power Source Program. Posters both broaden and intensify the impact of Power Source and further empower at-risk youth to build the skills associated with healthy social and emotional development. Serving as a constant reminder, these powerful images portray relevant information efficiently and effectively. Vibrant and capitivating, the posters attract the attention of youth and are presented in a format that youth can quickly understand and engage with ease. We have kept our printing costs low and our quality high to offer these beautiful posters at an affordable price to you. Posters can be purchased individually ($24.95 includes S&H) or at a discounted rate as a set of 4 ($69.95 includes S&H). To Purchase All Four Posters click here. The Core Self Poster (1) – Provides a powerful visual reminder of the identity model taught in the Power Source Program. Poster measures 24″ X 36″ and are printed in full color on 100 lb. poster paper. Stop, Breathe & Choose Poster (2) – Highly visually engaging, this poster offers youth an environmental cue to use this simple and effective self-regulation skill. The Cool Thoughts Poster (3) – Emphasizes the critical role thoughts play in de-escalating situations and helping youth keep their personal power. The When in Doubt Poster (4) – Reinforces the importance of Situation Selection and Modification when it comes to identifying and avoiding high-risk places and people. The Power Source Program is an evidence-based Social and Emotional Programm for Highly At-Risk Adolescents. It is Easy to Use, Simple to Deliver, and Engaging to Youth. To learn more, click here. Apologizing for offending behavior can take many forms. It can be a conversation with the person you hurt — face to face or by phone. It can also be done through a letter. Although many kids find writing difficult or unpleasant to do, it let’s you really plan what you want to say. Writing a letter of apology can be a very powerful way to express your feelings about what you have done. Even if you throw the letter away, or never send it, putting your feelings and thoughts into words on paper can help you move down the path of healing. Apologizing is something you’ve got to do to really stand up and take responsibility for your offense or mistake. But it isn’t always the final step. If it is possible, you need to repair the damage you did by paying back. When you can — make it right. This might happen in a lot of different ways. If you stole money from someone, return it. If you spent the money, then work to get the money to repay the person. If you stole an item that can’t be replaced, find out how much it costs and give the person that amount of money. If you started a rumor about someone and it hurt them or their reputation, you need to fix it by coming straight. Sometimes we won’t see our victim again, but we know that we have wronged someone. If this is the case for you, try repairing the damage by doing something kind for someone else. It won’t undue the damage you did to your victim, but it will help someone else. And that’s a powerful thing. Increasingly, research is confirming what most of us know intuitively — that it is our social and emotional competence such as understanding and managing our emotions, developing and sustaining healthy relationships, and creating and following through on goals that largely predicts the quality of our lives. Helping youth develop the social and emotional skills covered in this workbook is a major contributor in launching them toward trajectories of success and well-being. These skills not only impact adolescents physical and mental health, but their educational outcomes and work-place readiness as well. The good news is that these skills are not capacities you are either endowed with or you’re not; they are entirely learnable. And that’s where the Power Source Workbook comes in. and sharing their answers in a Circle. Who Is the Power Source Workbook for? Exciting News for the Lionheart Foundation!! THANK YOU for responding to this important and urgent request . Any amount is greatly appreciated. PLEASE PASS THIS APPEAL ON TO YOUR FRIENDS. Thanks again!!! Lionheart’s Houses of Healing, Power Source, and Power Source Parenting Programs are changing lives and building futures. 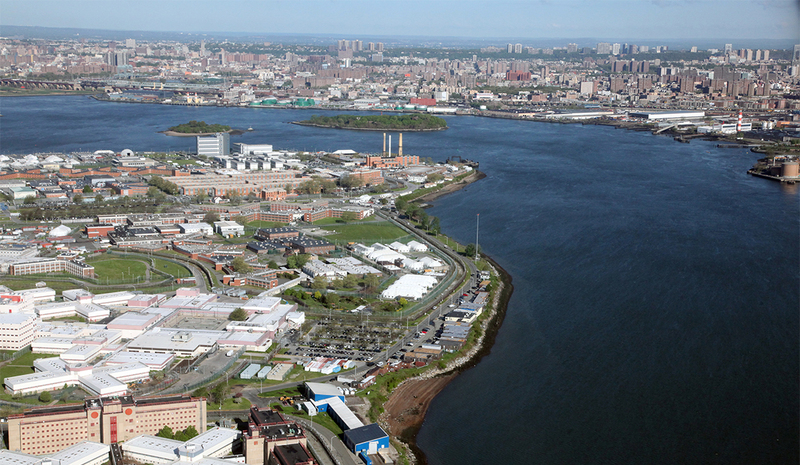 Interesting article on Isaiah B. Pickens, Ph.D.
Dr. Pickens was a facilitator at Rikers Island for the NIH funded study on Lionheart’s youth program, Power Source. This article is an interesting glimpse into Dr. Pickens’ “passion”. Because my focus is the present, and especially what’s to come, I try to refrain from talking much about my past. Other than for the sake of demonstrating the progress of my personal development, what I did and who I was seem irrelevant outside my own life. But recently I’ve discovered that my story could be useful to others. I feel though that it might also alienate readers who disagree with the belief system guiding my path to redemption. I just hope those individuals don’t let such disagreement turn them off to the mission statement of theinnervoice84 blog: communities, specifically the formerly and currently incarcerated, working together to solve their problems. For better or worse, here’s my testimony. I grew up in inner city Milwaukee, the only child of a lower middle class mixed couple (white Mom, black Dad). I was a short, shy, pretty boy with white people hair, and more interest in soccer than basketball. Not surprisingly, I was an easy target for the jokes and macho contempt of my predominantly black friends and peers. I was also a clown, dangerously independent-minded (at group outings, for example, I routinely wandered off to do my own thing), and had a very loving family. As a result, the teasing and minor bullying didn’t crush my self-esteem. Eventually I got taller (5’10″), fell in love with hooping and got good at ribbing people back – or oftentimes first. But I never really learned how to be an adult. Both in and outside my family I had numerous examples of the responsibility and maturity it required and the assumption was, as it usually is with kids, that I’d just imitate them. In fact, I probably would have if not for more prominent influences. Directly through its lyrics and images and indirectly through its effect on the culture that surrounded me, the intoxicating negativity of rap music became my bible in my journey to manhood. In time I began selling drugs, collecting mostly illegal weapons and got my “luv” of firearms tatted on my chest. By about the time I was 16 the chip on my shoulder from years of having my masculinity attacked had fused with my skin and made me immune to the wise counsel of those who’d been in my shoes. I had something to prove and wisdom and reason would not hold me back. Fast forward three years. The charge is first degree intentional homicide. A minor drug deal turned robbery became an act of fatal revenge. The details don’t matter; only the sadness and stupidity hold meaning. Within mere seconds, decades of potential was demolished leaving two separate groups of loved ones to sift through the rubble for something to ease the pain of the road ahead. I’ve never been a violent person, at least not in the typical reactionary sense. The only two fights I’ve ever been in happened at county jail while my case was being processed and several well-respected non-family members (business owners, professors, the brother-in-law of an ex-Wisconsin governor) wrote letters to the judge about how uncharacteristic my crime was. But I was vengeful, responding to disrespect and provocation outside the heat of the moment. Honor and justice have always been extremely important to me and back then this translated into loyalty to the street code, which demanded never shall anyone punk you. For me this was rule number one and I was all too eager to enforce it in my methodical, over-the-top style. A righteous mercenary in my eyes. Realistically, just another puppet in ego’s workshop. Initially I couldn’t get past the 17 year sentence. I kept telling myself something would shake: the state would reinstate parole, I’d be resentenced to less time, etc. Slowly I gave up on this hope and instead came to realize how lucky I was. As I’ve mentioned before, no one truly knew how close to the devil I was in my self-proclaimed noble bloodlust. Several times during that last summer of my freedom, I was literally no more than a ski mask, an unregistered vehicle, or a better firing angle away from multiple life sentences and putting my family in grave danger (all in the name of protecting the dignity of my clique). Then, had I not come to prison, there was the guarantee of future opportunities – after all, if we’re looking for it, people will always give us a reason to feel disrespected. More importantly, how does 17 years make up for taking a young life? To anyone more than a week old it was clear that somewhere along the line I’d made a wrong turn. Prior to being sentenced I’d been concentrating more on what I’d done wrong to get caught. Not long after I got to prison, however, I began to concentrate more on what I’d done wrong as a person. The harshness of my new circumstances was quickly waking me up to reality and I needed answers. Since middle school I’ve been unable to accept the concept of an all-knowing creator, so there was extremely little chance of theistic religion leading me out of the dark. Yet I knew I was missing something; there was more than what I’d been chasing in life. Inevitably, I gravitated towards Buddhism (though technically I’m not currently a Buddhist) and the road back to humanity started to clear up. Everything bad in my life, the growing pains of my childhood, the petty grudges and hate of my adolescence, the suffering of incarceration, it all came down to one thing: Ego. Ego was the reason for my cowardly desire to feel superior, my ignorant belief that I was more worthy of respect than others, and consequently my natural though weak impulse to take offense to, well, anything. Of course, this only meant I’d discovered the enemy. The hard part was gaining the upper hand. I had to starve the beast. My mind had already converted but I couldn’t consider the change genuine until my entire system fell in line. I began to rebel against my ego; it said left, I went right. If I got into it with somebody I’d go apologize to them later, regardless of my innocence in the matter. If I lost big in fantasy football or had something stolen I’d give away some of my canteen to a neighbor. 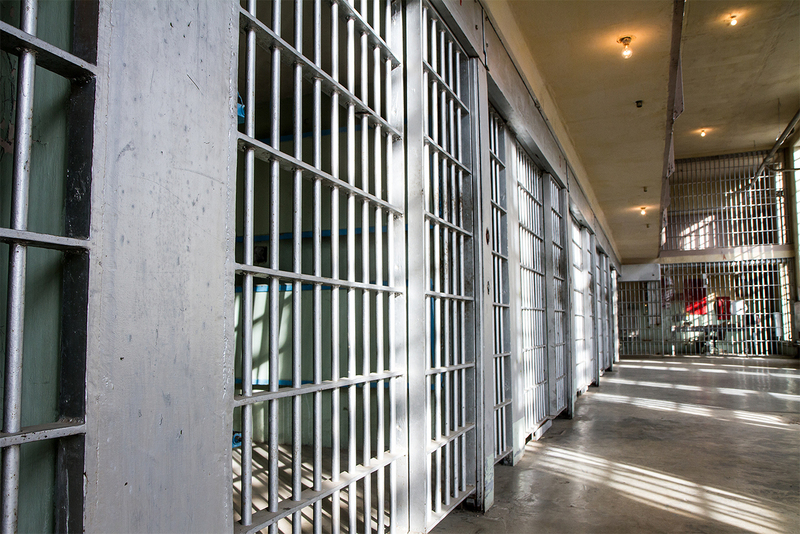 If correctional staff insulted me – the hardest thing for me to deal with in here – I’d laugh at and admonish my hurt pride like a teenager does his younger brother throwing a tantrum: “Grow up you little baby.” I constantly evaluated how I dealt with events in order to game plan for a better response next time. Though time after time I failed to measure up to my ambition, I was determined. Gradually, frustratingly so, I began to truly change my instincts. In many ways I haven’t changed. I’m still a clown, and my sense of humor, if anything, has only expanded due to my peace of mind. I’m still hip-hop to my core (the non-negative type though like Rhymesayers out of Minneapolis, the movie Brown Sugar, and the choreography duo Tabatha & Napoleon). And as a human I will always struggle to match my reactions to my expectations. But these are superficial points. I look back at how hungrily I fed on naïve judgments of others and thoughts of payback that ego dangled in front of my immaturity, and in a very real way it’s as if I’ve undergone a heart transplant. It’s hard to explain. I’m the same, but I’m so different. Maybe I’d have matured the way I have or at least broke free from the claws of my vengefulness even if I hadn’t put myself and those I love through this hell. I’ll never know. More importantly, I won’t let myself entertain such thoughts. What could have been is a picture with two sides and, like everyone, I have the choice to either focus on how things could be better or how they could be worse. A choice between illogical sadness or eternal contentment. Talk about an easy decision – although the other side does occasionally succeed in distracting me. My future might be bright, it might be dim, it might even get cut short. I can’t fully control the outcome there. However, I’m blessed in so many ways and will continue to share my good fortune in order to build up those headed for or caught up in destruction. I just hope I can make a difference.